The British called him the “Red Knight”; the French, the “Diable Rouge” (the “Red Devil”); but German pilot Manfred von Richthofen is best remembered by the immortal sobriquet the “Red Baron.” Born into a family of Prussian nobles in 1892, Richthofen began World War I as a cavalry officer before making the switch to the German air service. He scored his first kill in September 1916 and went on to down an astonishing 79 more aircraft by April 1918—more than any other pilot during World War I. As his reputation grew, Richthofen painted his Fokker tri-plane a gaudy shade of red. The move earned the Baron his famous nickname, and his squadron became known as the “Flying Circus” for their mobility and their easily recognizable colors. Lifelong daredevil Eddie Rickenbacker entered World War I as one of the United States’ top racecar drivers, having competed in the first Indianapolis 500 and set land speed records at Daytona. After a stint as a chauffeur on General John J. Pershing’s staff, he talked his way into the newly formed U.S. Army Air Service before getting his wings in early 1918. 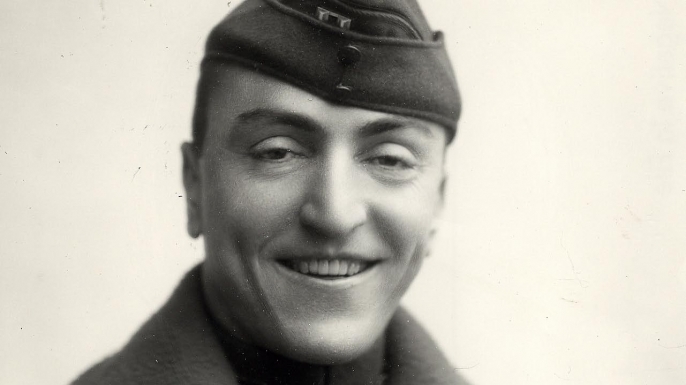 Though alienated from his more genteel squadron-mates by his working class background and advanced age—at 27, he was two years older than the age limit for pilots—Rickenbacker proved a natural in the cockpit. He was known for inching perilously close to his quarry before firing his guns and often took seemingly suicidal risks in combat. 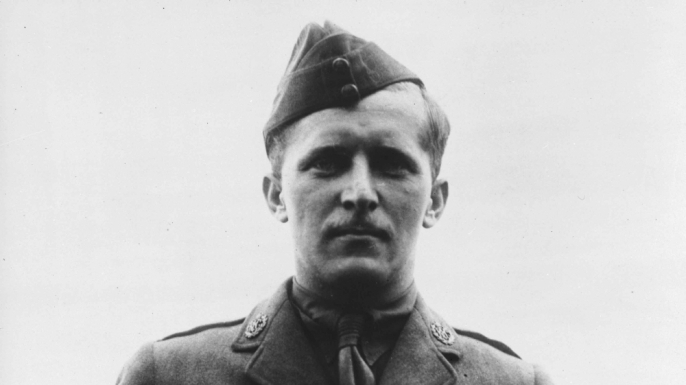 He won the Medal of Honor for one September 1918 incident in which he singlehandedly engaged a flight of seven German aircraft and managed to bag two before making a miraculous getaway. Rickenbacker ended the war as America’s “ace of aces” with a total of 26 victories to his name—18 of which came in the span of only 48 days. He continued to cheat death in his later years by surviving a pair of horrific plane crashes in 1941 and 1942, the second of which left him adrift in the Pacific for 22 days. history-lists-6-famous-wwi-fighter-aces-Albert_BallThough his kill count of 44 fell short of many of his countrymen, flying ace Albert Ball was arguably the British Empire’s most beloved fighter pilot during World War I. Renowned for his quiet demeanor—he supposedly loved gardening and lived alone in a small shack adjacent to his airplane hangar—Ball also had a ferocious fighting spirit. He often fought until his machine was riddled with enemy gunfire, and his do-or-die attitude established him as a wartime celebrity in the United Kingdom. Ball usually took to the skies on solo patrol, stalking German reconnaissance planes and engaging fighter squadrons even when severely outnumbered. One of his favorite maneuvers involved slotting in beneath his enemy and using the tilting machine gun on his French-made Nieuport fighter to fire on them from below. Despite his gallant reputation, Ball was deeply troubled by the violence of combat and often wrestled with depression. 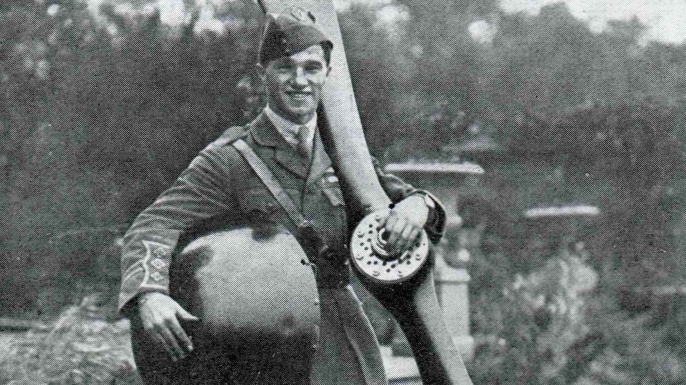 The stress of war may have played a role in his demise in May 1917 when he mysteriously crashed while tangling with planes from the Red Baron’s “Flying Circus.” At the time of his death, he was only 20 years old. While not an expert at aerial acrobatics, Bishop possessed uncanny positional awareness and an eye for marksmanship. To hone his skills, he often dropped tin cans from his cockpit and used them for target practice as he dove to earth. Bishop preferred flying alone, and gained a reputation for his larger-than-life feats of courage. In one famous June 1917 solo attack on a German aerodrome, he supposedly destroyed three enemy planes in the air and several more on the ground. Worried his reckless style would get him killed and affect morale on the home front, Bishop’s superiors eventually removed him from combat duty in June 1918. 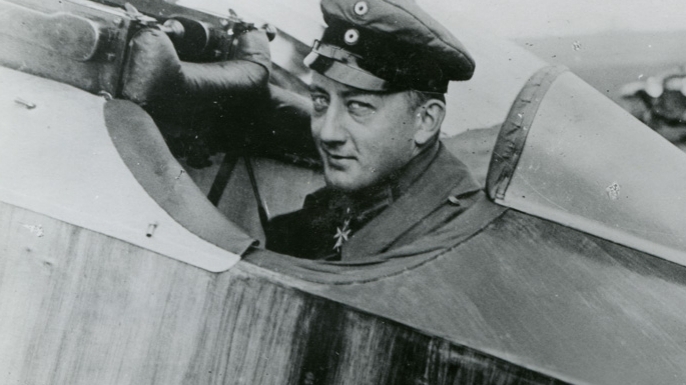 The Red Baron is remembered as Germany’s king of the skies during World War I, but Werner Voss may have been his closest competitor. 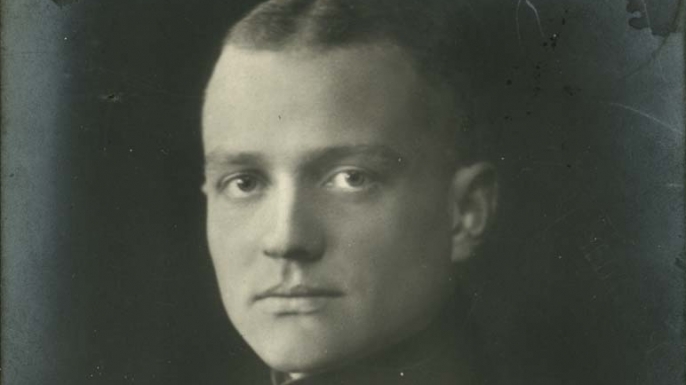 Voss entered the war in 1914 at the age of 17, and served as a cavalryman before transferring to the air service and being placed in the same squadron as the Baron. He quickly won fame for his acrobatic flying style and deadly accuracy in combat, eventually amassing a total of 48 aerial victories and winning the “Pour le Merite,” Germany’s highest military honor during World War I. The young airman had a flair for the dramatic, and routinely landed next to his downed adversaries’ planes to claim a souvenir from the wreckage. When his defeated enemies were captured alive, Voss would sometimes pay them a visit to drop off some cigars or even an autographed photo of himself. 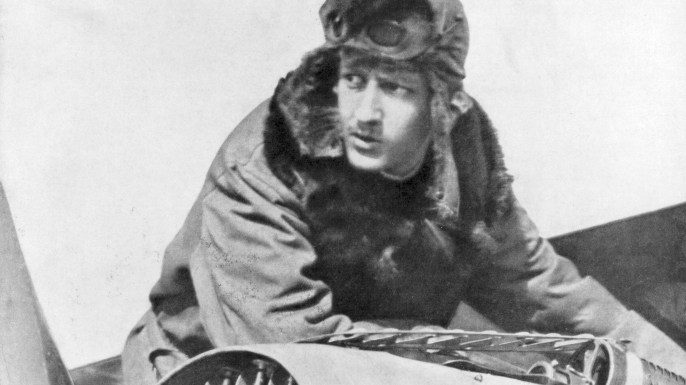 Famed French ace Georges Guynemer entered World War I as a mechanic before getting his pilot’s license and first taking to the skies in June 1915. Guynemer downed German aircraft at an impressive rate over the next year, and soon established himself as the most feared pilot in France’s famed N.3 squadron, known as the “storks.” All the while, he used his mechanical know-how to make technical improvements to his aircraft. One particularly audacious creation was the so-called “avion magique,” a specially designed Spad XII fighter that sported a 37mm single shot cannon. The cannon was so strong that Guynemer risked crashing his plane simply by firing it, but he managed to use the experimental machine to claim at least two victories. Though known for his uncompromising approach to combat, Guynemer also embodied the myth of the chivalrous pilot. During a famous June 1917 episode, he engaged in a lengthy dogfight with Ernst Udet, a top German ace. As each man twisted his machine through the sky in an attempt to gain the upper hand, Udet discovered that the guns on his plane had become hopelessly jammed. The German was certain he would be killed, but to his surprise, Guynemer simply acknowledged his plight with a wave of his hand and flew off. Like Udet, Guynemer also had his fair share of close calls—he survived seven plane crashes—but his luck finally ran out on September 11, 1917, when he was shot down and killed during a mission over Belgium. He would end the war with 54 enemy planes on his score sheet—second best in the nation after France’s “ace of aces,” Rene Fonck.